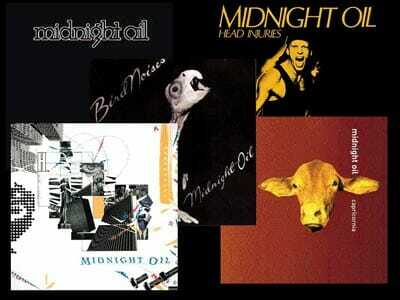 A reflection on one of the world’s greatest Rock bands, Australia’s Midnight Oil. When I look back at my youth there is only a handful of bands that both stirred my soul and ignited the revolutionary spirit within. 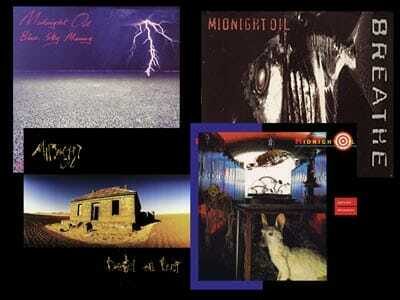 At the absolute top of that list is Australia’s MIDNIGHT OIL. Beyond being one of the greatest Rock bands all time, they represent the absolute best of what Rock music is capable of when performed by musicians brimming with both skills and intensity. 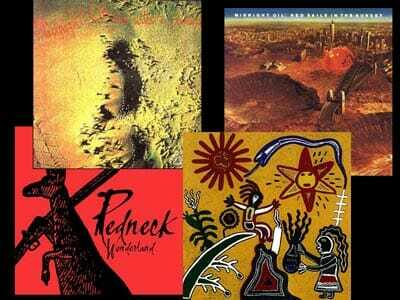 Most of my generation only know THE OILs as the band responsible for 80s Rock radio staple “Beds are Burning” and perhaps a few other notables like “The Dead Heart” and “Blue Sky Mine“. For younger generations this five piece likely remains either completely unknown or quite enigmatic. However, with a career spanning four decades, 11 albums, two EPs, numerous live and “Best of” compilations these guys stand as one of the most prolific Australian Rock acts ever. Beginning as a Hard Punk band in the 1970s their early albums reflect a raw, unpolished energy that with a little tweaking would soon culminate into one of the most respected live bands on the planet. After Columbia Records picked them up for U.S. release in the early 80s their worldwide legacy was soon born. Never straying far from the path of political, social, and environmentally conscious lyrics and often blatantly refusing to cower under commercial pressure THE OILs never quite reached the global peak of other Hard Rock bands of the era. Nonetheless, relying exclusively on talent and unbridled convictions they forged on before finally breaking big with 1987’s ‘Diesel and Dust‘. ‘Dust’ would bring multiple radio and video hits to bear and well-earned commercial success–and a righteous vindication for their overt political activism and inflexible artistry. MIDNIGHT OIL would continue on for another decade shifting tone and style as they saw fit and never once sacrificing their independence or integrity. Despite continued respect and success they would dissolve in 2002. 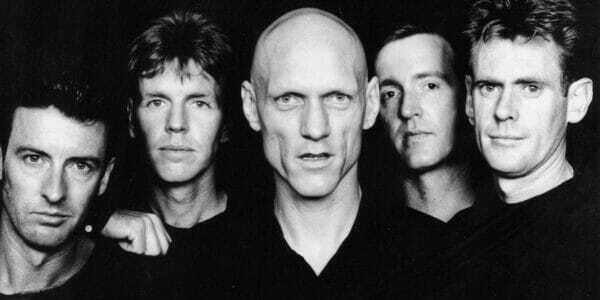 Vocalist Peter Garrett turned his attention towards his political career; being elected to the Australian Senate in 2004. As a lifelong advocate for environmental protection and the reconciliation of Aboriginal and other Australians, Garrett would champion those causes from within government until 2013. And while the remaining members stayed inside the music scene, MIDNIGHT OIL only would reform for occasional one-off benefit/protest concerts. That is, until a worldwide reunion tour kicked off in 2016. Perhaps, one day, we’ll get new studio recordings. However, their immense and storied back catalog makes that (nearly) irrelevant as there’s always something to listen to when whatever mood hits. Diesel and Dust (1987): To not include this album here would be criminal. The most successful of their career–for good reason. It plays like a greatest hit collection on its own. Each and every song is brimming with ear-worms and a social conscience. Blue Sky Mining (1990): The matured ‘Diesel’ follow-up that only gets better with age. Beautiful, haunting themes and melodies that transcend time by sounding even more relevant today than they did thirty years ago. Breathe (1996): A low-key, dark horse that took big risks. Experimenting with Alt. Rock while never abandoning the hooks or lyrical potency even as the guitars disappear behind layered synths and rhythmic tones. Species Deceases (1985): This breathtaking 4-track EP contains a few of their absolute top songs. A turning point leading this band away from greatness towards legendary. Earth and Sun and Moon (1993): A sugary, more commercial sounding affair that might not be considered were it not for the absolutely beautiful songs within. A near total shift of tone–it even has “love ballads”. You simply can’t resist the infectious positivism and hope. Place Without a Postcard (1981): The first truly MIDNIGHT OIL album. One that demonstrates a remarkable sense of songcraft and melody with a holdover of early Punk bite. Red Sails in the Sunset (1984): Another grand experiment that swims around styles. With a wry playfulness often absent from their other more introspective releases. Redneck Wonderland (1998): Rediscovering their youthful grit gives this later release a polarizing blend of Hard Rock rage and 90s Alterative quirk that just plain works. A diverse collection of Rock masterworks encompassing a musical legacy built on creativity, talent, and passion. For those looking for some extra Oil, check out Peter Garrett’s sublime 2016 solo release ‘A Version of Now’ with OIL guitarist Martin Rotsey. And the 2017 Blu-ray/DVD concert film ‘Armistice Day’ is an absolute must see/hear experience. These guys haven’t lost a single beat.